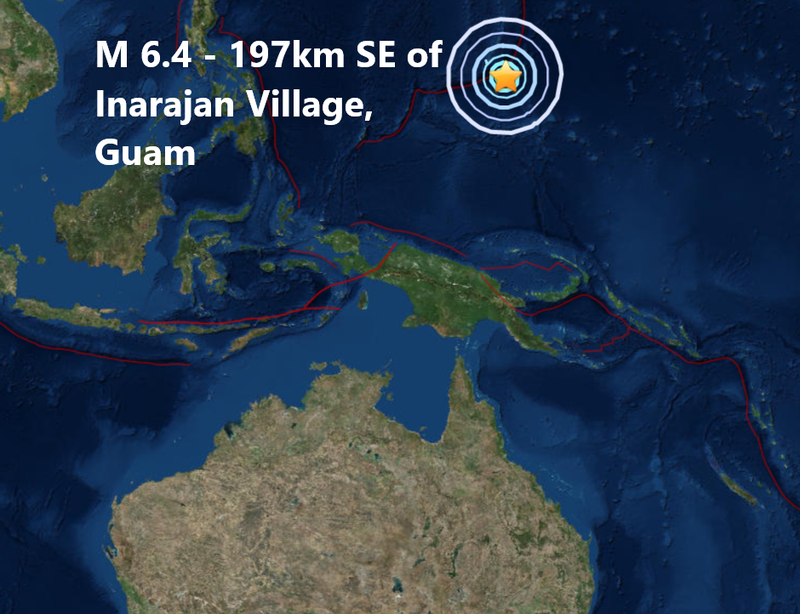 A magnitude 6.4 - 197km SE of Inarajan Village, Guam is the 9th major quake of September with all nine of them hitting the Pacific Ring Of Fire. Last nights quake was the 86th major quake to strike our planet in 2018. 2018 is now well on course to overtake 2017's lowest total this century of just 111 major quakes. All the major quakes in September have struck during coronal activity on our Sun.